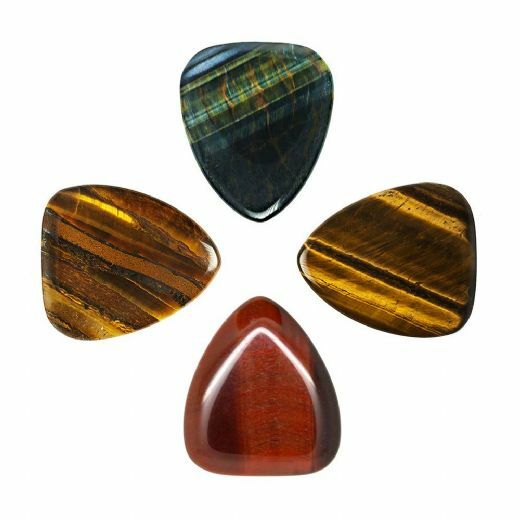 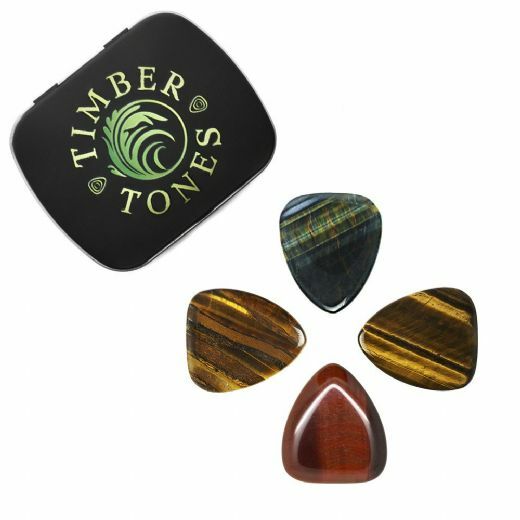 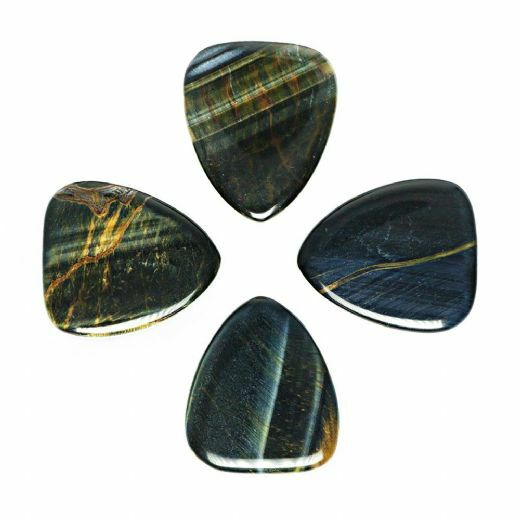 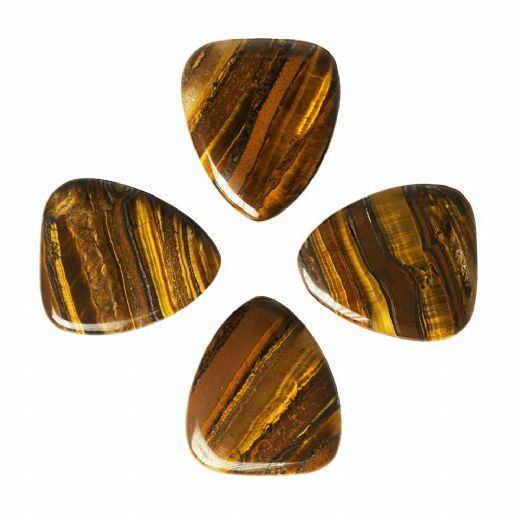 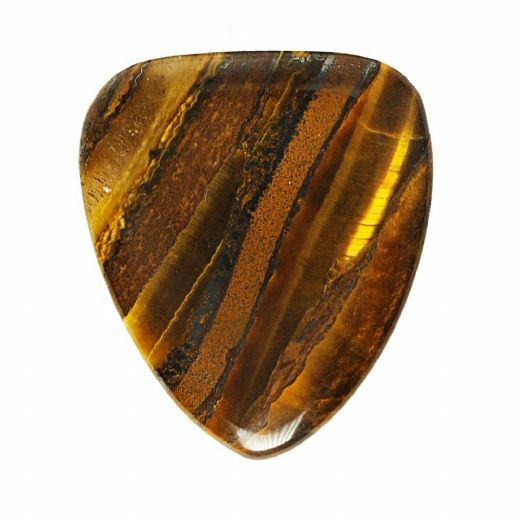 Tiger Tones are loosely based upon the classic 351 shape being 30.4mm long by 25.7mm wide. 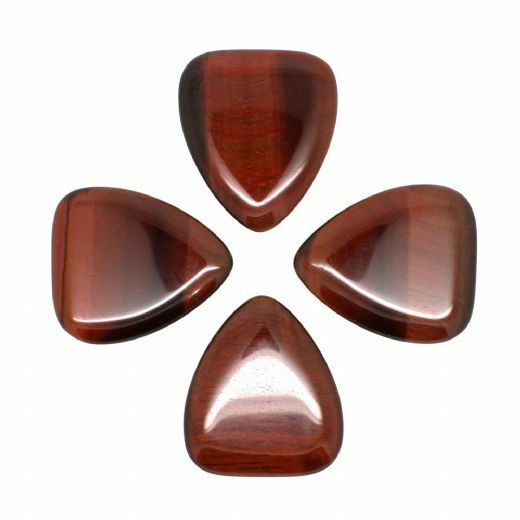 They are 4.5mm thick tapering down to a 1mm playing tip. 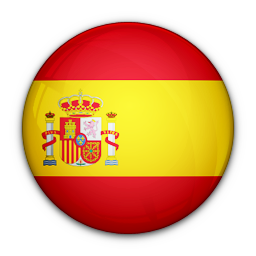 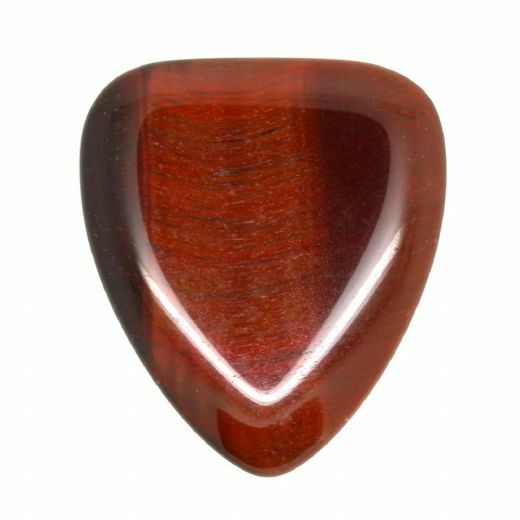 They have a very rounded playing tip to overcome the brittle nature of these types of materials which gives you a surprisingly warm tone. 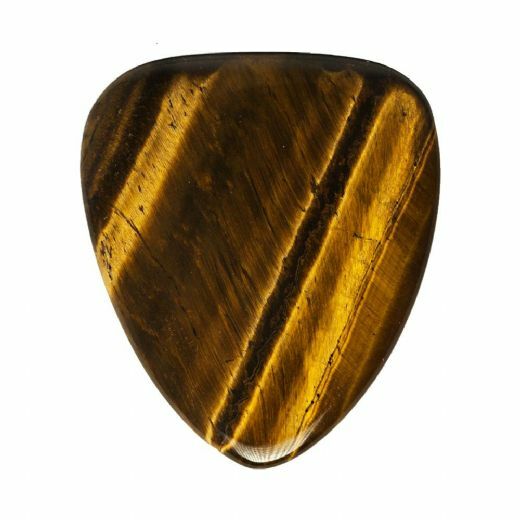 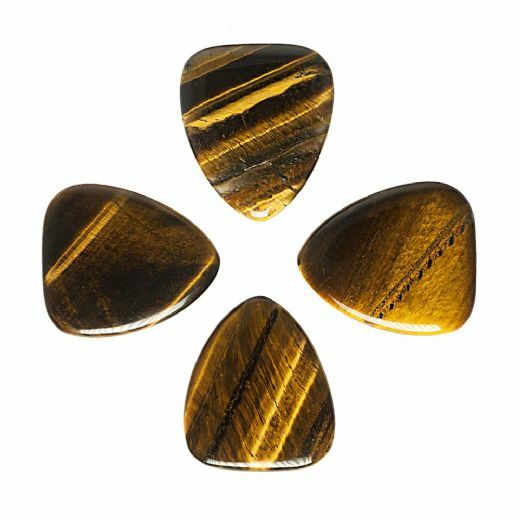 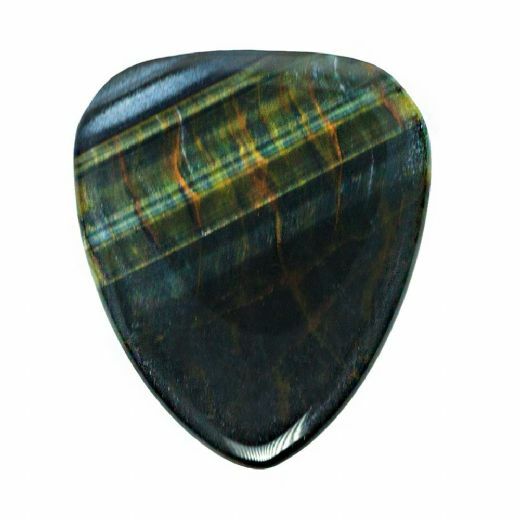 These Guitar Picks are recommended for precise picking on Arch Top Jazz Guitars.